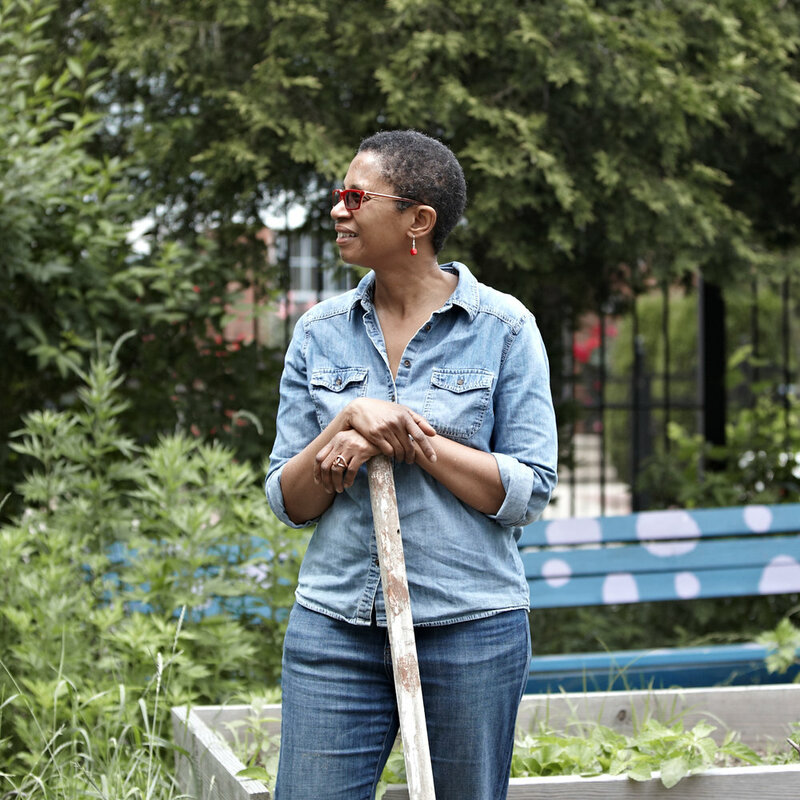 As part of an inaugural collaboration to integrate the arts into civic life called CivLabs, Arts East New York and the New York City Department of City Planning (Brooklyn) have teamed up to activate Success Garden on Livonia Avenue in East New York. Artists Walis Johnson and Paul SuePat will collaborate to create - East New York: We Walk in a Field of Dreams, is a socially-engaged multi-media art installation that incorporates community oral histories, a labyrinth walk and sculptural creations of Paul Sue Pat. This public art project will explore the past and future of East New York, a predominantly African-American and Puerto Rican middle and working class neighborhood in Brooklyn long neglected by the city, now on the verge of enormous change and possibility as a result of rezoning. The project offers opportunity to consider the neighborhood history, hopes and dreams and acknowledge the persistence of residents and institutions who have served as community placekeepers and healers in spite of real estate speculation, crime waves, drug epidemics and their resulting trauma. Working sustainably with materials already present in the garden such as a gazebo, raised planter boxes and other structures, the artists will create an interactive sculptural “shrine” that incorporates East New York oral history recordings by Sarita Daftary-Steel from her East New York Oral History Project (http://eastnewyorkoralhistory.org/) of the neighborhood’s vibrant immigrant past, the destructive practices of redlining, block-busting, racial segregation and economic exclusion. As people listen to community voices past and present and gaze at images and artifacts from the area, the shrine becomes a place for reflection in preparation to walk the Red Line Labyrinth using thematic prompts to focus the mind and heart in meditation. The Labyrinth is created from old shoes that poetically embody footsteps of a resilient people who have come, gone or still reside in East New York. This aspect of the work opens a pathway for participants to contemplate economic, social and spiritual losses of the past as they walk. As people emerge from the Labyrinth, they enter into a new space, a field of tall grasses and flowers that speak of hope and with luck, a brighter future. A visual artist obsessed by finding and using new material and textures in my work. My art lives at the intersection of sculpture, design and painting and has always been rooted in a belief in social justice and the contrast and extremes between humans and nature. I try to illuminate the emotional contradictions that surface in the human desire and greed for more material things and feelings of emptiness when the things we yearn for fail to fulfill our inner need. These desires are central to our progress and survival as a species and but will also be our downfall. Paul Sue-Pat was born in Kingston, Jamaica. He attended Edna Manley College Of Art in Kingston, then went on to study art history at the University of East Anglia in Norwich, England. His art is the result of continuous experimentation, exposure to the modern art movements such as Nouveau Realisme, L' Art Informal, and Pop Art, and extensive reading and travelling. Walis Johnson is an interdisciplinary artist/filmmaker whose work documents the experience and poetics of the urban landscape through oral history, ethnographic film, and artist walking practices. She is particularly interested in the intersection of documentary film, performance and socially engaged art. Walis explores hidden fissures of culture and history that upend our understanding of the political, economic and cultural structures we use to define the American condition and ourselves. Her practice consists of multiple works, in a range of different media, grouped around specific themes and meanings. Discussions that emerge are expansive and open-ended nd grow richer over time.Her recent work - The Red Line Archive Project - activates conversations about the personal and political affects of redlining using her own family story growing up in Brooklyn.